Google has confirmed plans to build a massive new UK headquarters in London which is seen by political commentators as a huge vote of confidence in post-Brexit Britain. 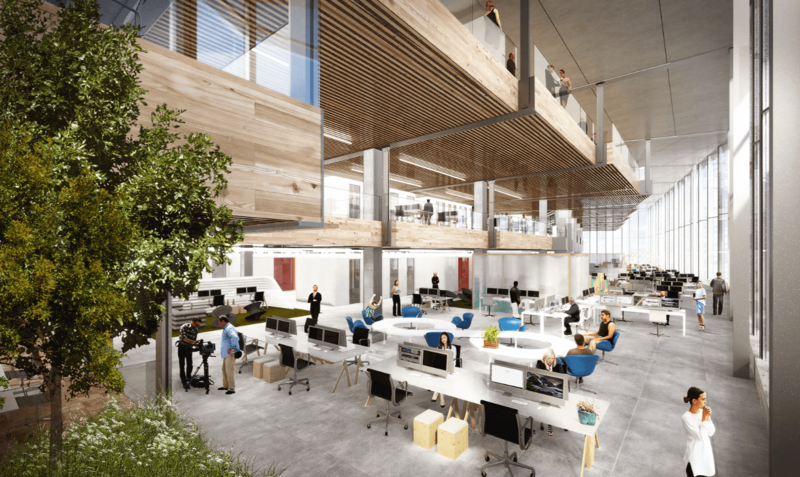 Google already has another two buildings under development at King’s Cross but this new 650,000 square foot complex will make up more than half of the company’s total campus. Although only 10-storeys in height, the scheme is 330m in length making it is as long as Renzo Piano’s Shard is high and therefore, a ‘groundscraper’. In addition to welcoming a new design team, BAM Construction will also be replaced as principal contractor. The revised contract value is anticipated to be in the region of £650million and therefore, it will be delivered by one of UK’s major main contractors: Lendlease, Mace and Multiplex are all in the running. Google’s decision makes them the second tech-giant to commit to the UK in as many months with Apple recently declaring they will build a UK headquarters as part of the Battersea Power Station redevelopment. Both projects are brilliant for UK Construction and C-Link anticipate major Specialist packages being out to tender on both in the early part of 2017. C-Link is home to exciting projects across the UK and Specialist Contractors, Suppliers and Consultants are winning contracts daily with C-Link. C-Link: Join the construction revolution.